She lay quite comfortably on a raw carpet of cement and wrapped in the nine yards that was all grace but belied the haste with which it was tied. The sharp stones, sweltering heat, and a lone bulb in the spacious room mocked at the luxury she was accustomed to and pushed it in the far recess of her life; not forever but as long as she deemed fit. They were never allowed to transcend the journey of a few hours, which didn’t last even for a day. 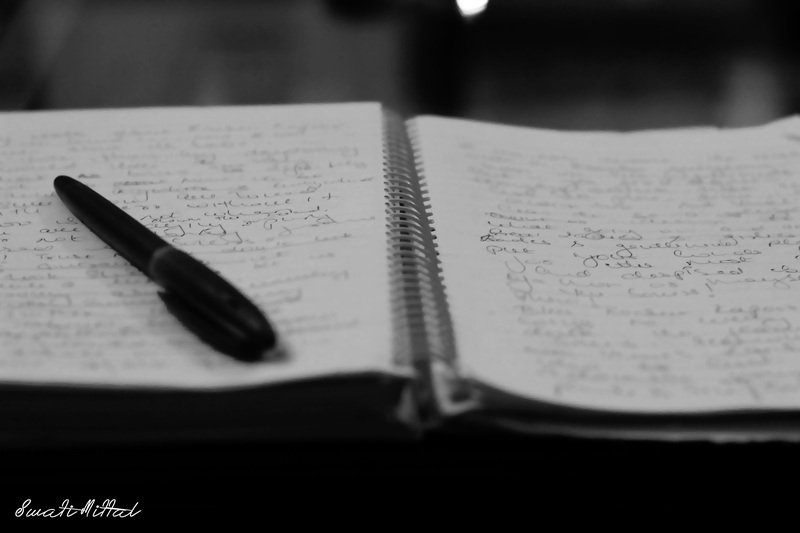 She nurtured an indecipherable connect with the abandoned, trivial things, which usually escaped even the keenest of eyes. She was different! Her thick, beautiful curls jostled for space and revelled in the touch of her fingers as she drew them away in an absent fashion. But time and again they fell back, craving to caress her face. The thoughts underneath the captivating face charted their own course contrary to the words she read that painted a musical history. She looked content languishing on the scattered cushions, but her eyes reflected the fragments from another lifetime that could churn a storm in the calmest of sea. But she smiled because she knew it to be the best way to be happy. A tongue and wit sharper than a razor had all around her on their toes: a fact in which she took much pride. There was only one who could unravel the mysteries dancing in those eyes, which laughed at a lonesome joke, igniting within its depth the tinders of wisdom born from sorrows of the past. The wind blew so did her thoughts. The time flew and so did her wait. She lay there in tranquillity as the music filled the room she dimly lit. At Tara’s office, Roohi sat in a corner playing with her doll. Shekhar had remembered to take it along as he had stormed out of the house to reunite with his daughter who had been missing for a few hours. Cyrus had been kind enough to call him about his daughter’s whereabouts and also kept her company till Shekhar reached to pick Roohi. Shekhar’s joy was quite palpable the moment he had set his eyes on Roohi and the only person he could think of sharing it with was Tara. However, Tara wasn’t the one to ‘waste’ her emotions on her family because she had another child to love and that was her work. 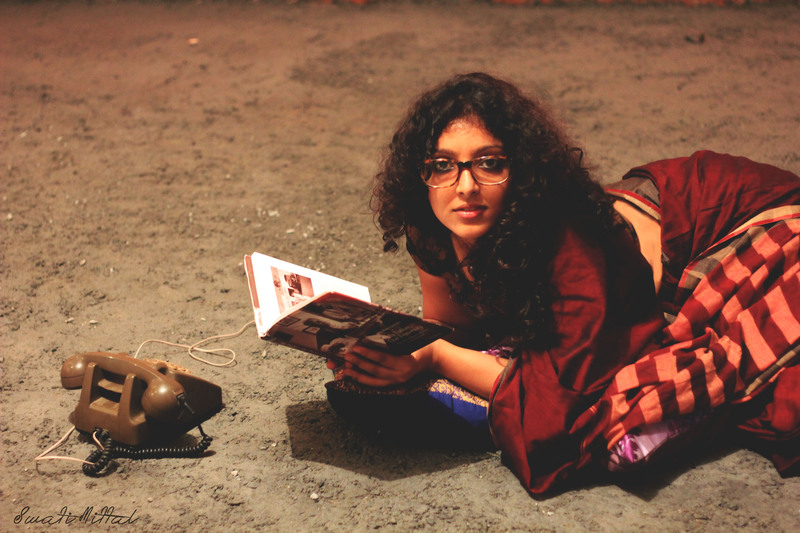 After giving Roohi an obligatory hug and a pat on the head, Tara was again consumed by her work. She did not show much affection or relief, which any mother would whose child has been missing for hours. Shekhar, a mute and defeated witness to the entire spectacle felt no urge to indulge into another pointless tirade with Tara, which would be nothing but mentally and emotionally draining for him. He was more worried about Roohi as he shivered to think about what all could have gone wrong in those few hours. 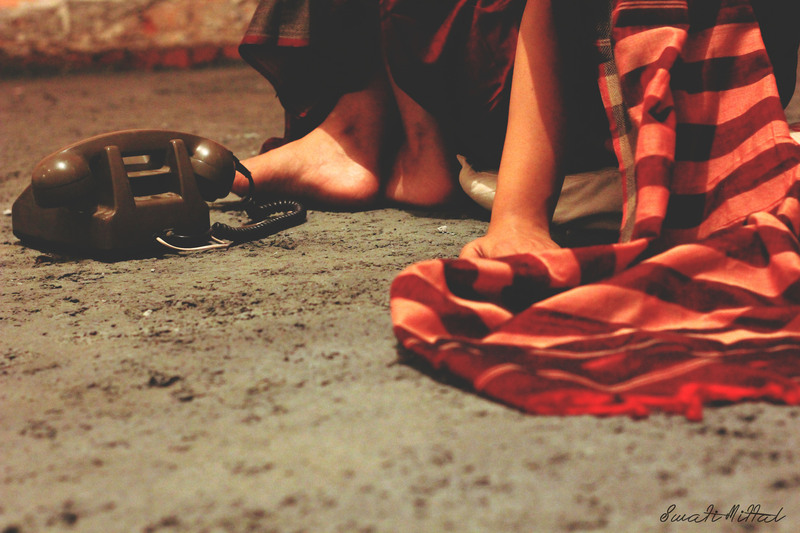 Shekhar wanted to do everything in his power to erase this fear of separation from his daughter’s mind. 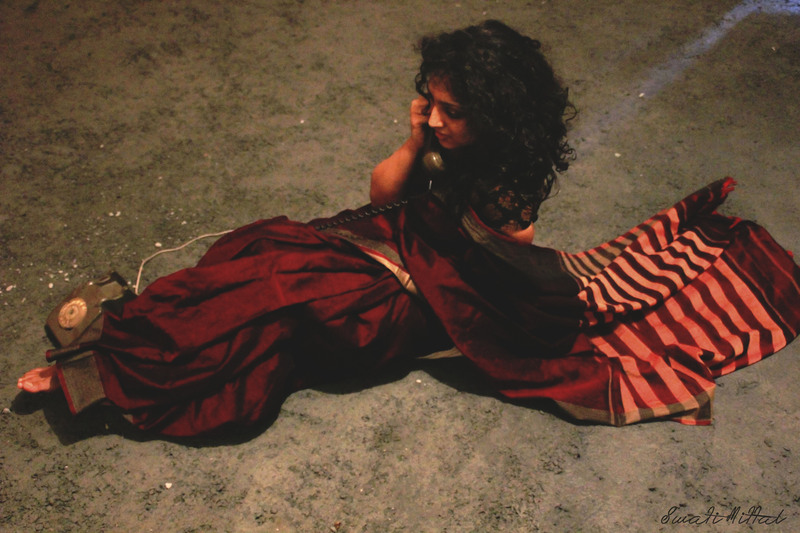 It turned out to be a good distraction as Roohi had been missing her mother’s affection especially after the incident. Besides this for quite some time she had been asking Shekhar to allow her to get a pet for herself. She readily agreed but wanted to know if Tara will also accompany them. However, for Shekhar it was a foregone conclusion because he knew that under no circumstances will Tara ever compromise with her work. “Roohi, mom has a very important meeting to attend, but what if I say that we will eat your favourite pizza and ice-cream too? “ asked Shekhar hoping that his plan will bring back a smile on Roohi’s face. His prayers had been answered for Roohi’s eyes twinkled like the two brightest starts in a starlit sky. Love for animals was another thing that the father-daughter shared with each other and it also helped strengthen their bond. Hand in hand with Roohi, Shekhar left Tara’s office without feeling the need to inform her about their plans. In midst of an animated conversation with his daughter, Shekhar’s eyes once again chanced upon Jennifer who was haggling with an auto driver. It wasn’t the first time that he was meeting her; a while ago he had bumped into Jennifer in his wife’s office, where she had been hired as a photographer. “No, thank you. I will manage. It’s just that I am still finding my way around the city and learning how to bargain with the autowallahs.” she said cheekily. “My daughter and I plan to get a puppy, dig into a pizza, and finish the day with an ice-cream” he said pointing towards Roohi. “I am not so sure…” Jennifer hesitantly replied. “The treat is on me and I will even teach you the tact of surviving in this city. Both of us have our reasons to celebrate this day, so why not do so together. I am assuming you don’t know anyone here, so we can be your new friends. What say?” asked Shekhar. “I have a new job to celebrate but what about you?” Jennifer asked. Always the one for new experiences and befriending people, Jennifer hopped into the car without reluctance. They drove down a road less travelled and embarked on a journey that was about to give their lives a bizarre turn; a turn neither of them could have imagined. “Me and my team are participating in ‘Game Of Blogs’ at BlogAdda.com. #CelebrateBlogging with us.” Cheers! Private India: A public disappointment? 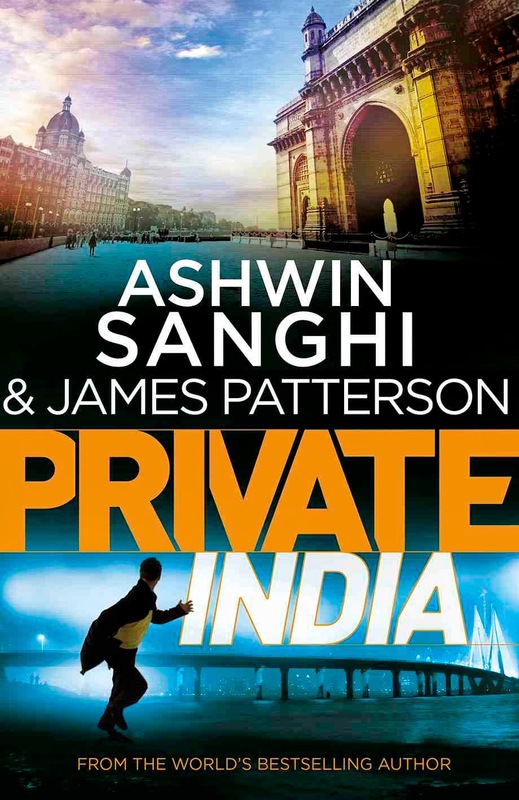 Private India, co-authored by Ashwin Sanghi and James Patterson has been one of the most awaited thrillers. James Patterson is synonymous to grisly, spine chilling murders while Ashwin Sanghi enjoys weaving stories around mythology and history. The setup for murders this time round is heart of Mumbai where both the authors have plotted a bout of murders and a murderer who continues to elude Mr Santosh Wagh, the protagonist of the book and the mastermind behind cracking this mystery. He is also the head of the most elite investigative agency Private India – it is from here the book has drawn its title – that caters to the rich and powerful. Wagh carries with him a tragic past that left him with a limp and an unwavering addiction for alcohol. There are certain traits in Mr Wagh that bear a striking resemblance to Dr. House, the heart and soul of a popular telecom M.D. House. Just like House, Wagh too has a team of three under him that include Nisha, Mubeen, and Hari who assist him in cracking the murders. Private India is entrusted with a case where women are being murdered at random and a yellow garrote is left behind as a mark of the killer. Besides the garrote, the strange props placed on and around the corpse turn out to quite befuddling for the investigators. The first murder takes place on the first day of Navratra, a festival that is celebrated over the period of nine days to worship the goddesses. In accordance there are a total of eight murders while the ninth victim is saved in nick of time. The successive murders thicken the plot as well as the confusion by bringing in too many new characters. The multiple angles forced me to flip back to a few pages in order to get hold of the plot… again. The next couple of murders introduce the readers to a gangster Munna who is also a feared druglord. His story pans out as a little boy who rebels against the then drug lord and takes over the streets himself. Munna enjoys quite a reputation with the rich and powerful of not only the country but world too. Next in tow follows Nimboo Baba, a revered holy man who is worshipped by millions and considered to be the master of their destiny. However, Nimboo Baba is involved in every major crime and a financier of all the illegal activities. He too has a role in the plotting of murders. There is a corrupt police officer too who has a habit of chewing ‘premium’ quality of tobacco bough from the black-market. By now we have a detective, murderer, gangster, baba, and a corrupt police officer; the story seems to be a jigsaw puzzle of pieces ripped from different Bollywood movies. There are many more characters, but after a point I lost track of them. While reading the book there came a point when I simply decided to skim or skip pages depending on my patience. The pace seemed to be quite a drag and after two hundred plus pages I couldn’t wait to keep down the book. I no longer wanted to know the murderer’s identity. In the last few pages, the ninth victim’s melodramatic monologue and part conversation with the perpetrator again took me back to the much exploited scenes from countless movies. The book lacks pace, thrill, incisive narration, and novelty of concept. It turned out to be quite disappointing considering that the two luminaries of the literary world have authored this piece. More so because having read brilliant page turners by the two this book fell short of all my expectations. On second thoughts I think I forgot to mention something: well, there was an impending terrorist attack that too by ‘Mujahideen’. Now, isn’t that cliched? !